Are you a "nail artist"? 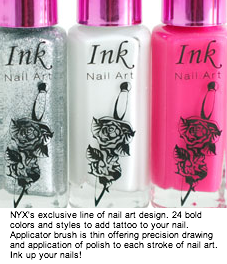 NYX is coming out w/a new product that will delight all nail product lovers, from the budding nail artist to the experienced. Its fine, thin applicator brush is designed for "drawing" on your nails! This sounds very interesting. What do you guys think about this?